An 80-year-old woman and her teenage grandson were rescued on Sunday in northeastern Japan after surviving nine days in the rubble of their home. The youth was able to pull himself out of their flattened two-story house nine days after the devastating earthquake and tsunami. 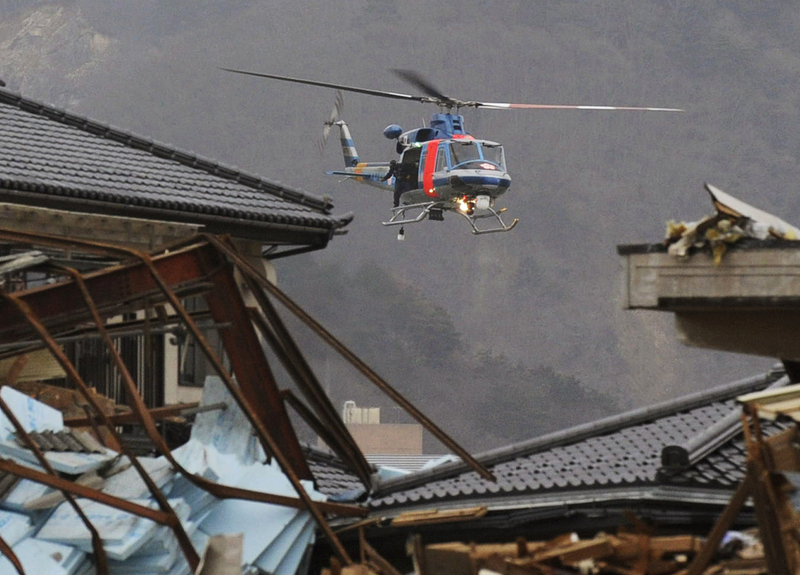 Jin Abe, 16, was seen calling out for help from the roof of the collapsed home in the hard-hit city of Ishinomaki, according to the Miyagi Prefectural Police. Like other homes in northeastern Japan, they had lost electricity and telephone service in the March 11 earthquake. He led them inside to his 80-year-old grandmother, Sumi Abe. Both were conscious but weak, and had survived on the food they had in their refrigerator, said an Ishinomaki police department spokesman. The woman could not get out of the house because she has trouble walking, and the teenager, who was suffering from a low body temperature, had been unable until Sunday to pull himself from the wreckage, the spokesman said. National broadcaster NHK showed video of the stunned but coherent woman being placed on a stretcher. She was able to give her name and told rescuers she had been in the house since it collapsed in the quake. The quake and ensuing tsunami that devastated Japan's northeastern coast killed more than 8,100 people, with 12,000 still missing. Another 452,000 have been displaced and are living in shelters.